The stationmaster [?] is seen walking along the platform. A father with his two daughters walk along too, one waves a hanky at a passing train. A goods train passes on the opposite platform. A station hand with a trolley walks past. A train draws up to the platform. Passengers alight and others head towards the open doors to get on. People walk towards the camera. Many stare and some point at the camera. The stationmaster hops off the back of the train onto the platform. Norton also used the titles "L.N.W.R. Express", "A Goods Train", and "A Passenger Train Stops, Passengers Alight, Train Moves Off" during presentations. Date: 1996-1998 John Barnes’s archaeological study of early cinema charts its development between 1894 and 1901. Barnes founded the Barnes Museum of Cinematography, now at Hove Museum, with his brother William in the 1960s. The collection provided primary material for Barnes’s study of early cinema. 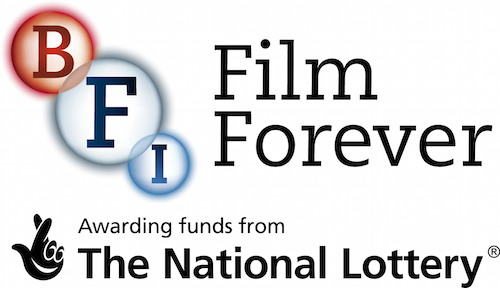 Location: BFI National Archive, British Film Institute, London Holds films made by Goodwin Norton. BFI National Archive, copies kept on file SASE 950000.